This book provides many exchanges dealing with religious points of view between the author and members of two websites: www.gather.com and www.theologyweb.com . The author shares many of his personal views that could not be provided in the historical novel, Future of God Amen. The many comments by gather and theologyweb members on religious topics offer a wealth of ideas many people may find informative in Amen and Jesus’ Revelation. The author’s responses to comments made by believers in God, agnostics, and atheists affords readers insights how they perceive religious beliefs and God. The exchange of their ideas provides an in-depth review of current religious thought. 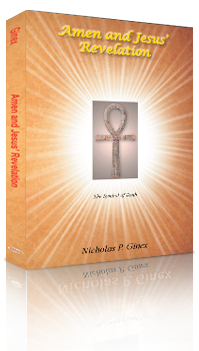 A new and gifted writer of religious findings by renowned Egyptologists, the author’s writing skills surface knowledge of a religious past that deserves to be known by the modern world.